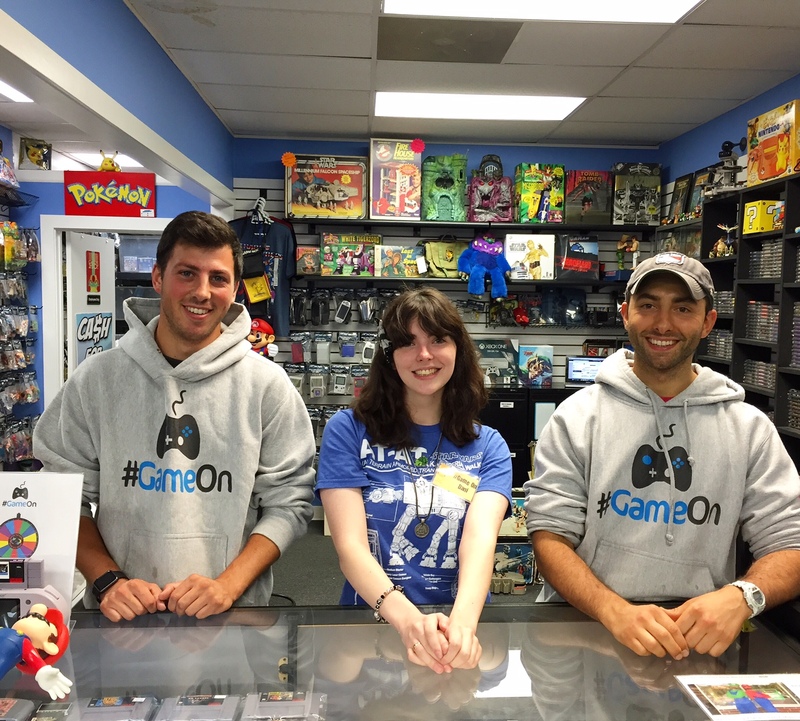 Meet The Staff of Game On Miller Place! Hey Everyone! 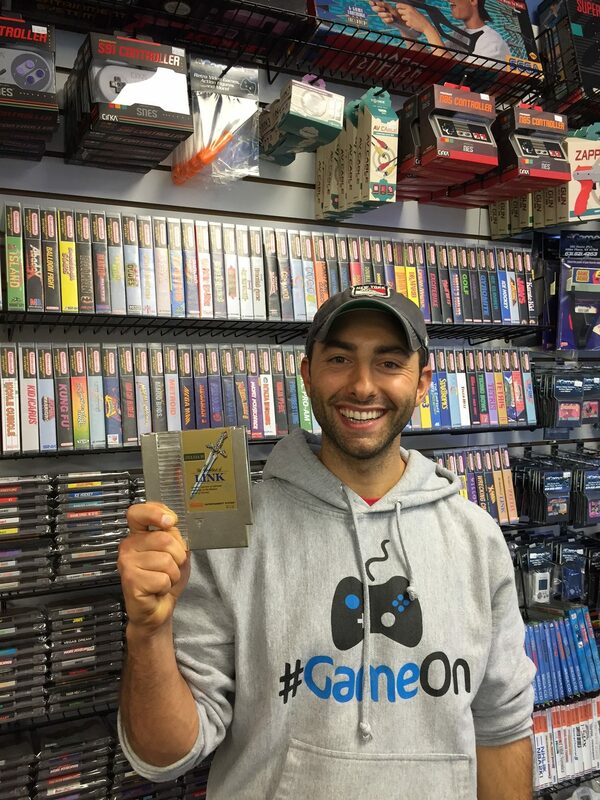 I’m Tristan; the owner of Game On Miller Place! I wrote a little bit about myself on the “My Story” page if you want to know why I opened this place and little bit about my background. Check it out! My favorite game of all-time is Zelda 2 for NES. I know I know, you probably have heard a little bit about this game being bad, or at least not as good as the other Zeldas, but give it a chance! It holds a very fond place in my heart for many reasons. Mainly because of the hours I spent as a kid alongside my brothers trying to figure where to find items, heart pieces, potions, spells and how to beat dungeons. It was the first game that we had that was only one player and even though I had three brothers, we somehow all took turns and realized that watching someone play was just as much fun as playing sometimes. I simply cannot get enough of this shop. I live for making this place a more magical and inviting environment for you, your friend and your family. Growing up, there was always a local video game, or comic book store to hang out at, and I feel like kids don’t really have that anymore. Now they have Game On. I wake up every morning more and more excited to get to the shop and hang out with my customers. I love when a new customer enters and you can just see the emotions overtake them as they are taken back to a time in their lives when things were so simple. I love being able to give that back to people. Hey, Im Dani! My Favorite video game of all time is Final Fantasy 9 for the Ps1! I’m not sure If its because of the amazing characters, legendary story, or the epic soundtrack but I will never forget the first time my sister and I watched the credits roll to “Melodies of Life”, and immediately restarted our files to play again. My favorite part of being at Game On is meeting the awesome community surround the retro gaming culture. 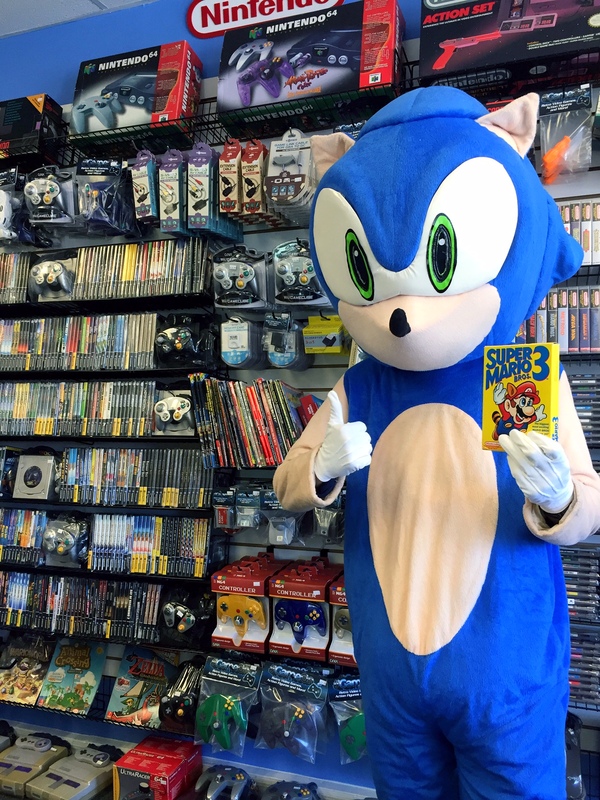 I love getting to learn about games and systems I am not familiar with, from the customers who truly love them. Getting to chat with our incredible customers about games they want to try, or games they grew up with really makes me smile. I’ve loved video games ever since I first played Duck Hunt for the NES at my grandparents house and from that moment on I knew I’d never stop playing video games. Being here with my awesome and equally obsessed coworkers never even feels like work! Hi Everyone! My Name is Sonic The Hedgehog! My favorite video games of all-time is Super Mario Bros. 3 for the NES! What a great platformer! In my old age, I have a hard time controlling characters that move to fast so this game is right up my alley! 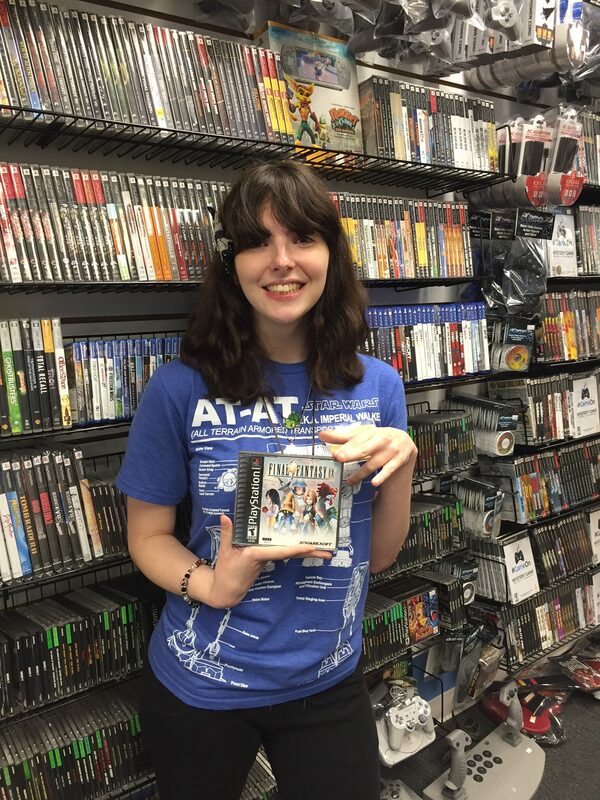 I love working at Game On! I was having a hard time finding work until Game On gave me this wonderful opportunity! I get so many beeps and waves from the cars outside and it makes me feel so special and loved! Thanks everyone! If you’re ever in the area and see me hanging around at Game On feel free to say hi!